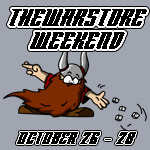 Matt Wilson of Privateer Press sits down with the D6 Generation team to discuss the many big Privateer events of 2009 up to and including the new Warmachine video game. But first we need to report on all our crazy adventures at GenCon 2009. Russ, Raef, and Craig discuss all the great games they played and what the highlights of the convention were for them in a special extended edition of Achievements in Gaming. And don't miss the first ever Rapid Fire recorded in front of a live audience!! In part 3 of our bonus GenCon episodes we interview Flying Frog Productions and discuss new expansions to Last Night On Earth, A Touch of Evil, and some new products coming soon. But first the D6G team interviews Wells Expeditions about Arcane Legions at GenCon. How did the game's launch go? What's coming next for this new product? In part 2 of our bonus GenCon episodes we interview the folks at Wyrd Miniatures and discuss their new miniature skirmish game "Malifaux." Malifaux premiered at GenCon 2009 and features many innovations including card, not dice, driven mechanics in a setting that is as unique as it is bizarre. While at Gencon 2009 we managed to get a few interviews that we thought would be best sent out in 'unofficial' bonus episodes. In our first bonus episode we start off with the creators of Exillis, the new hybrid game that brings the creative world of hobby wargaming together with the power of computer-aided combat. Then we chat with Curt Covert of Smirk and Dagger to hear about his latest project and how it did at GenCon. Finally Craig and Raef talk with the folks at Armorcast and learn what they've been up to recently. 1) Follow our Twitter feed. We'll send out Tweets throughout the weekend on where we are, where we're eating, and if we've suddenly got time to run a game of Werewolf or something. We'll also be Tweeting and posting pics of hot news events throughout the show. Even if you can't make it to GenCon, we'll keep you in the loop. 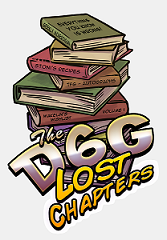 Our Twitter Feed: The Official D6G Twitter Feed. 2) Visit our "Intro to Podcasting" seminar on Thursday, August 13th, at 2pm. We're event ID SEM0905958 location: Westin: Caucus. We'll definitly all be there, so it's a great chance to catch us in one spot. We hope to see you there. And don't forget if we see you with a D6G TacCom button or other D6G Merchandise we'll hook you up with a little D6G goodie you can only get by meeting us in person! Due to the D6G team trip to GenCon Indy 2009, we're going to delay Episode 38 one week. It would normally air around Monday, August 17th. Instead Episode 38 will go live near Monday, August 24th. This also means the shout out auctions for for Episode 38 will be delayed. These would normally be up now. Instead the shout out auctions for episode 38 will begin Monday August 10th and run 7 days. Thanks for understanding and we look forward to sharing our GenCon discoveries with you soon. Highlights this episode include a Rogue Trader RPG interview and a detailed review of Arcane Legions. First we interview Ross Watson, Fantasy Flight Games' lead man on the Warhammer 40,000 themed RPG's Dark Heresy and the new "Rogue Trader." We find out what to expect in this new edition to the 40k RPG line up. Later the D6G team gets into the details on exactly how the new hybrid game Arcane Legions works. We've had our hands on two of the demo kits, the first was from Origins and the second is the updated kit with the improved models. We've assembled the miniatures and played the game and we're ready to share our thoughts. Well, it took a bit but now all of the incredible amount of stuff that Paul over at The View from the Turret donated to the show are up on ebay. There's all kinds of crazy stuff from a Flames of War intelligence book to buildings to Federation starships to Imperial Guard. There's even a copy of the boxed game "Frontiers." Nearly all of it is in mint condition and remember that all proceeds go to help fund the D6G trip to GenCon 2009. To check out the listings, click here.